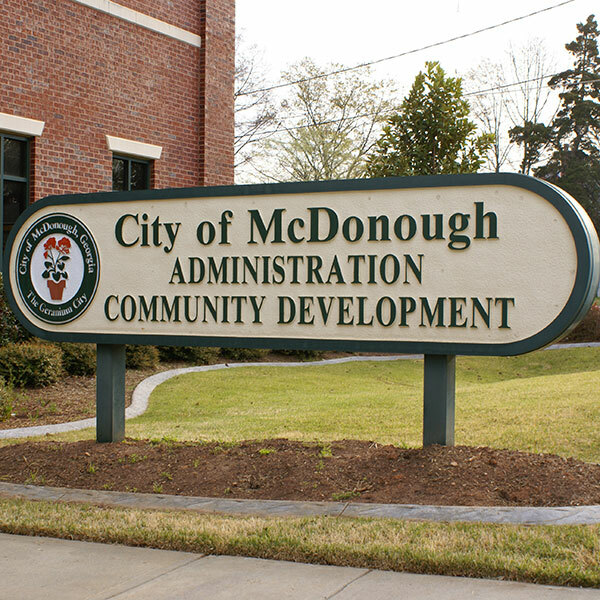 An excellent choice for long term signage, made from high density urethane foam, which holds up very well in the elements. 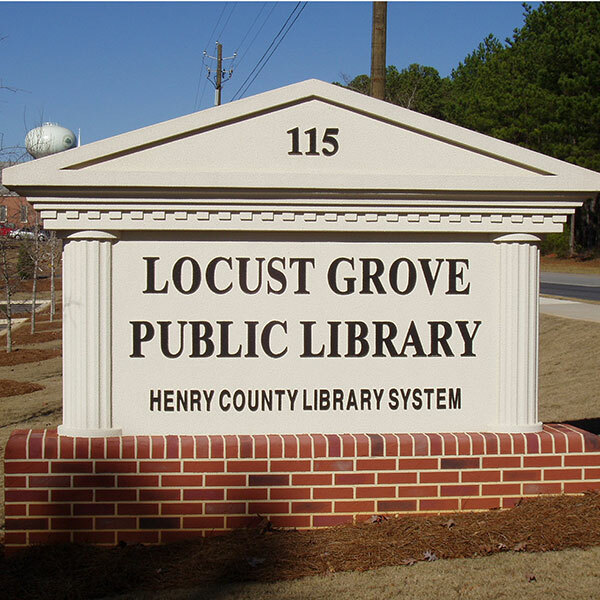 Sandblasted signs offer unique texture and lots of dimension, the letters and graphics are usually raised and smooth, while the background is blasted out to show a pebble texture or a simulated wood grain for a more rustic look. We can layer or hand carve areas for even more eye appeal. 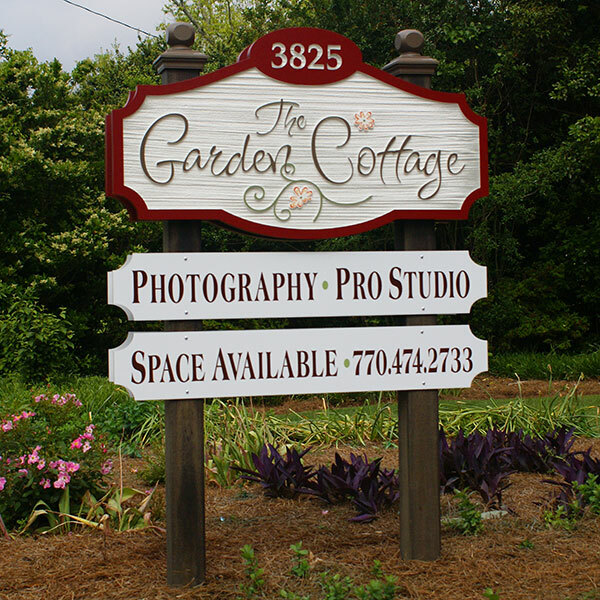 Sandblasted signs have a very attractive "hand crafted" look that will draw lots of attention. Our Stucco monument signs are produced from a computer cut foam core, that is sprayed with a plastic hard coat, then a stucco finish. The "hard coat" can be hit with a hammer and not damaged, this makes these signs extremely durable and long lasting. 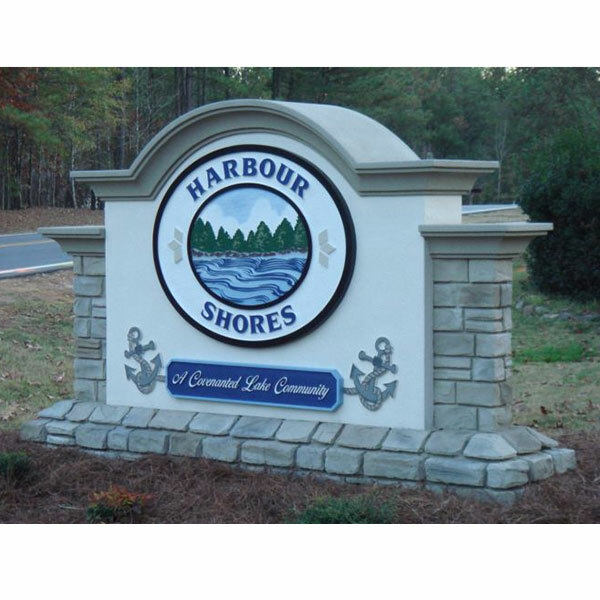 The design possibilities are endless, Sandblasted signs, dimensional letters and even lighted sign boxes can be added along with faux stone or brick. This type of sign is often recommended by the Dept. of Transportation, and in some areas required, because of their breakaway properties which makes them much safer than masonry signs in high traffic areas. An excellent choice for long term signage, made from high density urethane foam, which holds up very well in the elements. Our large format printing equipment offers many printing solutions for both indoor and outdoor applications.